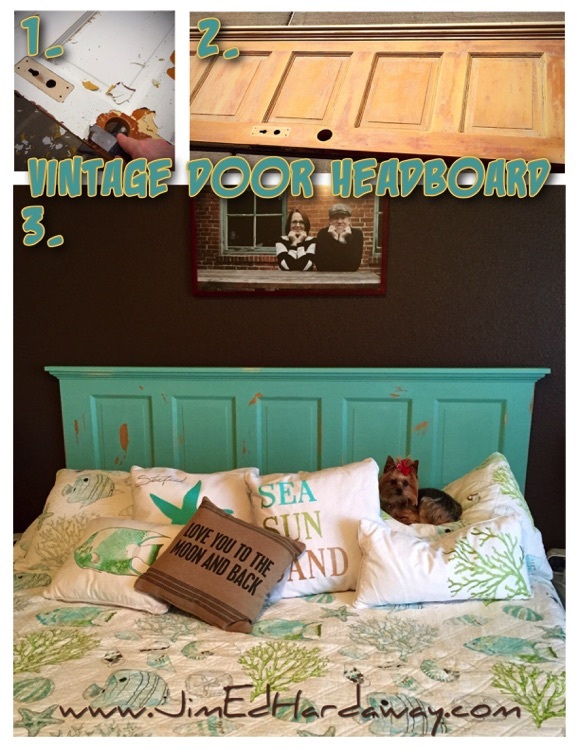 Vintage Door Headboard. Take one vintage door, strip and sand off decades of paint layers, add some molding on the top, and resurface with chalk paint. 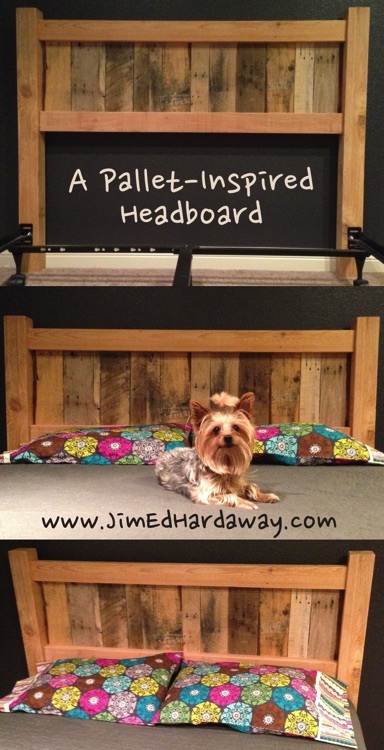 The result, a great-looking headboard that works well with many themes (*Yorkie not included). 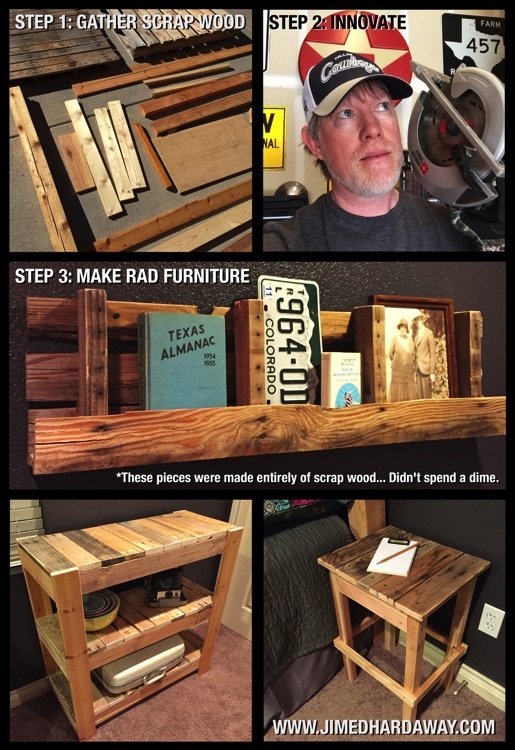 Scrap Wood Furniture. These pieces were made ENTIRELY from scrap wood and materials in my garage—I didn't spend a dime. Furniture for our guest room included a pallet shelf, TV stand/shelves, and end tables. 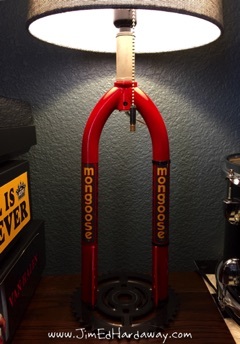 Retro BMX Fork Lamp. When some jerk sells you a bent BMX fork on eBay, you make the best of it. 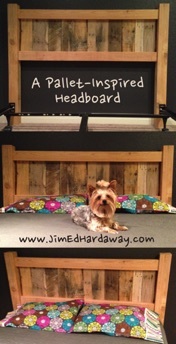 A Pallet-Inspired Headboard. Here’s a queen-size bed headboard for less than $50. One 4X4X8 cedar fence post, two 2X4X5 cedar fence boards, four lag bolts, a handful of screws, and a well-worn pallet. 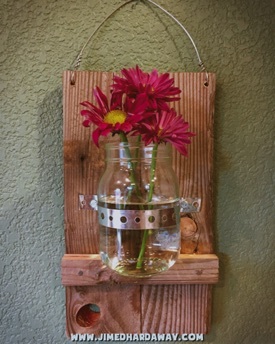 Hanging Flower Jar. This simple and quick build is a great way to liven up a room. 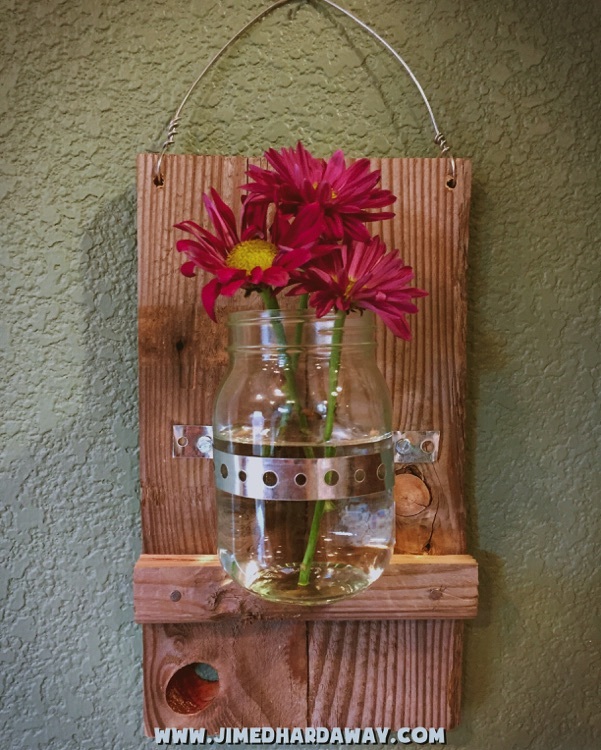 A couple of pallet boards, wire, metal strap, and a mason jar. Oh, and some fresh flowers and water of course! Photo Wall. 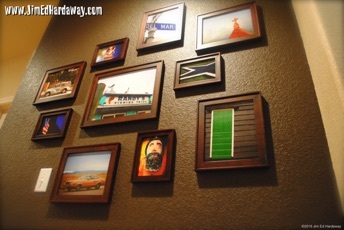 What better way to decorate a wall than with photos from your adventures! 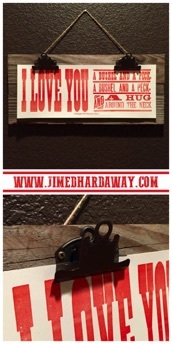 Print and frame in various sizes, and hang them randomly. I even keep multiple prints behind each and change them often for a fresh look! It started with a print I bought at Hatch Show Print in Nashville, TN… Then some repurposed wood, rustic clipboard clips, twine, and presto!